MULTICOMP specialises in the manufacture of stainless steel fabrications with a range of welding techniques and specialist tig welders we are committed to only the highest level of quality and expertise in Stainless Steel Tig welding. Custom and multiple Stainless Fabrication can be done here in the Multicomp Factory, all under one roof! 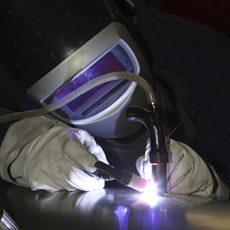 Fabricated parts, Transitions, Tubular fabrications, Purge welding and Architectural systems and components are just a few of our capabilities in Stainless Steel Fabrication and Welding.